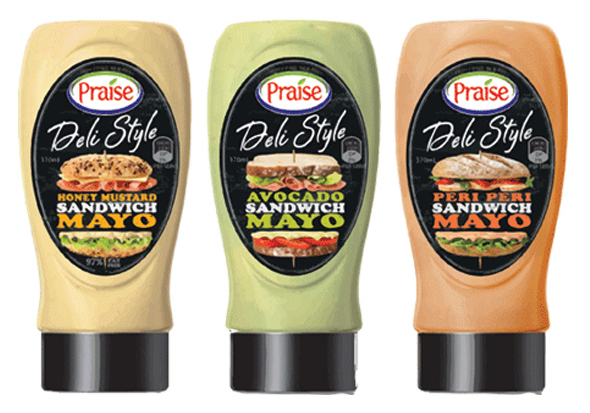 Australia has enjoyed the taste of Praise since 1964 when their first mayonnaise was launched. The dynamic and highly competitive nature of fast moving consumer goods (FMCG) branding means that the development of a well thought out strategy for the protection of trade marks and designs is now more important than ever. Goodman Fielder is a leading food company across Australia, New Zealand and Asia Pacific. One of their flagship brands is the Praise Mayo range of salad dressings. Achieving a competitive advantage in the FMCG sphere is not simply about pricing and special offers. From taste and nutritional value to placement and presentation; the entire consumer experience needs to be carefully planned and managed. With the rise in popularity and quality of “home brands” from major players such as Woolworths and Coles, brand managers have found it increasingly necessary to stand out from the crowd. Intellectual property law specialists Franke Hyland were consulted to prepare an intellectual property strategy to enable the Praise Mayo brand to stand out from their competitors. Franke Hyland devised an IP protection approach that reviewed all aspects of the product into account, including the registration of Praise’s unique bottle design. Franke Hyland played an integral role in the product development cycle. This approach took many aspects of protection into account such as which components of the designs were protectable, a review of the competitive landscape and a strategy to monitor and protect the new design from potential infringements.